And do that, I did. Now you can too! 6/32 Flathead Philips Screw – Get these from McMaster or Home Depot. Length depends on how many keys/spacers you want to use. 6/32 Nylon Insert Locknut – McMaster 91831A007. Similar locknuts can also be found at Home Depot. If locknuts aren’t you thing, or you just have a ton of 6-32 nuts lying around, this instructable may be of interest to you. Ninjaflex Semiflex. Buying an entire spool is not necessary unless you want it for a lot of other projects as well. 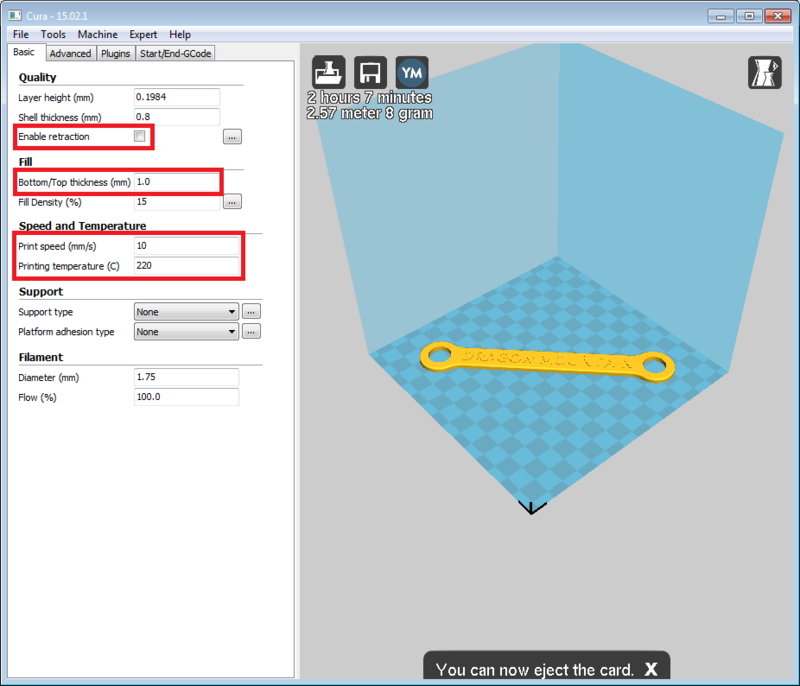 Printrbot has samples, but make sure to check how much you need to complete the print. Gather all your keys together in one place, measure them (if you’d like) and add 15.5mm (approximately 5/8″) for the end parts (more if you want to use the spacers between each key) to determine a rough estimate of the length of screw you need. For four keys (three spacers), I’ve used a 1 1/4″ screw, and for two keys (one spacer), I’ve used a 1″ screw. Play with the length the way that feels best for you. 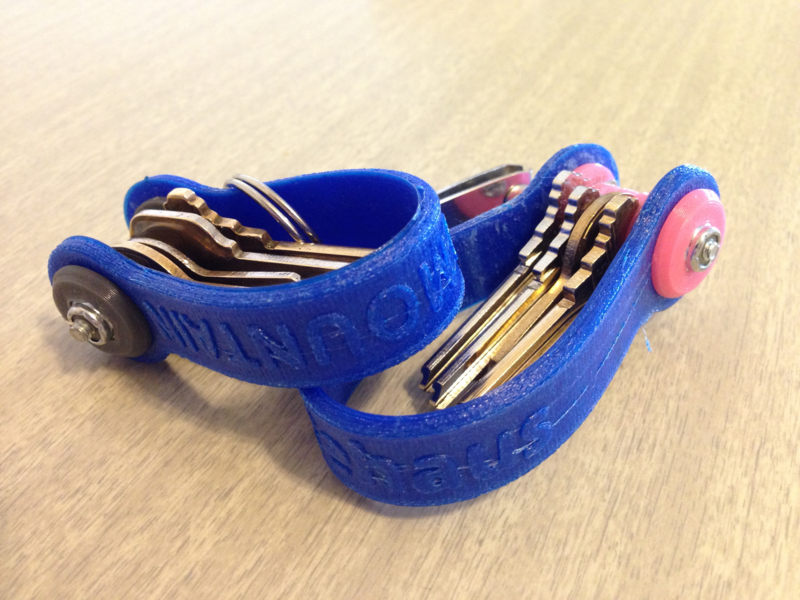 Download the files on Thingiverse or Youmagine, and you can get right to making yourself a sweet keychain. Want to customize this to your own liking? 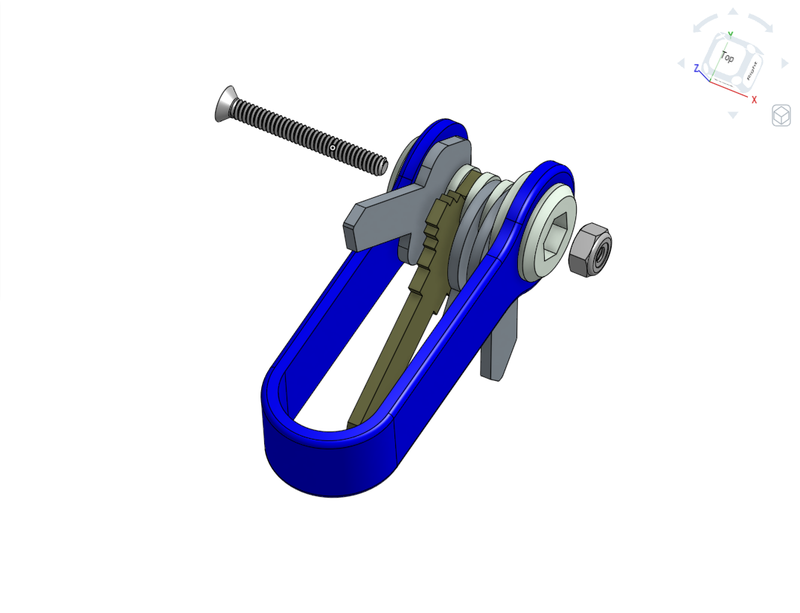 Files are public on Onshape! 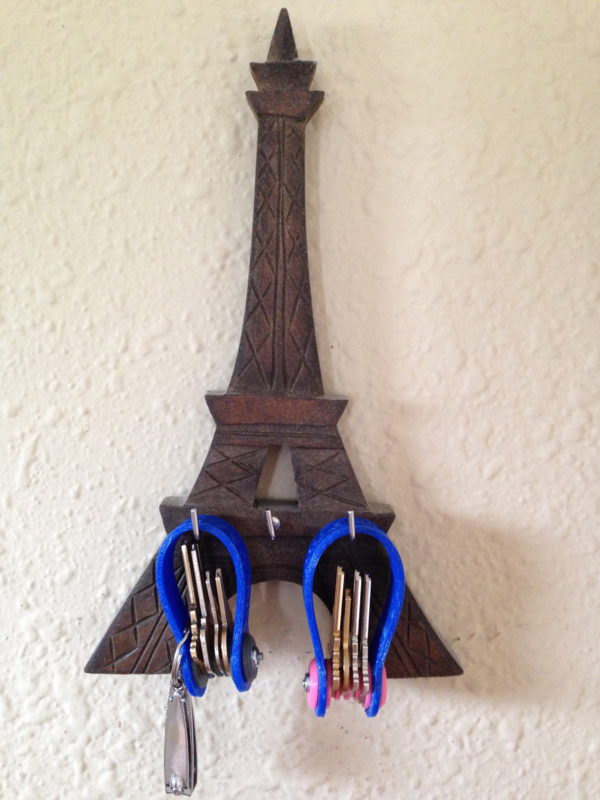 Search for “StrappyKeyChain” and bend this design to your will. 11/13/2015 UPDATE: Files are now also available on Cults3D! If you’ve been enjoying this and other projects, consider leaving a donation. It could be key to future developments. 5/31/2016 UPDATE: Files are approved and up on MyMiniFactory now too! Spacers and hardware ends can be done in PLA or ABS, but for obvious reasons, the strap needs to be made with NinjaFlex. You can change settings to your printer to achieve the result you desire, but I found the settings below to give me good results. The material may occasionally kink in the extruder, so keep an eye on it. This is a fairly straightforward build. Pop the locknut into the hex end, thread everything together with your screw, and tighten to taste!